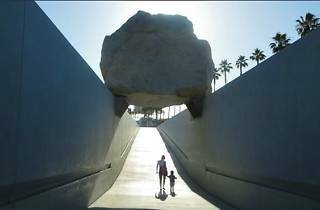 Photograph: Courtesy Landmark Theatres Levitated Mass. 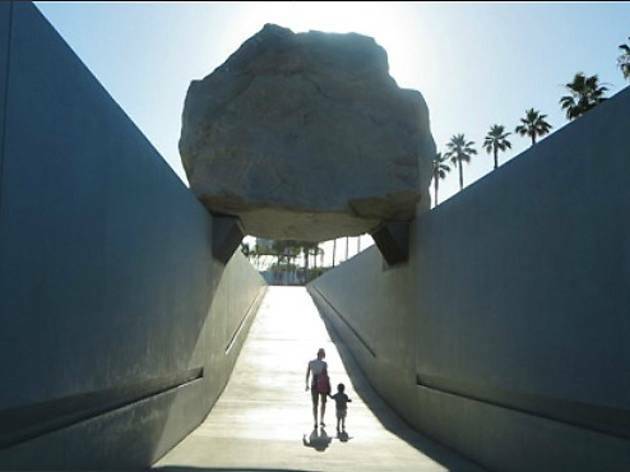 Filmmaker Doug Pray's new documentary about artist Michael Heizer's "Levitated Mass" will strike a special chord with Angelenos in particular, from those who witnessed the two-story tall, 340-ton granite boulder making its way from a Riverside quarry through Los Angeles, to LACMA visitors who have walked through the slot underneath the behemoth outside the museum. The film tells the story of the reclusive Heizer and his original conception for the work back in 1969, to its journey on the custom-built, 206-wheeled transporter, and finally the monolithic land sculpture's completion. The doc will run for a week at the Nuart, with Pray making an appearance on Friday and Saturday.